Injuries rendered the Wisconsin roster nearly unrecognizable Saturday versus Northwestern, and the Wildcats pounced on the oportunity to shred an inexperienced roster. 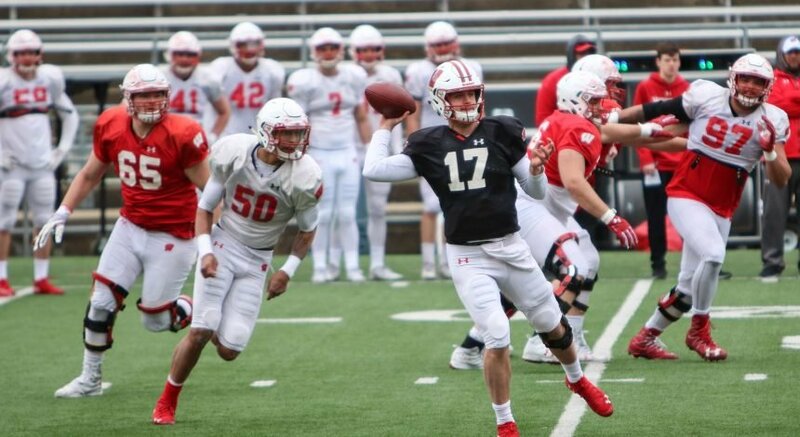 Sophomore quarterback Jack Coan made his first start after concussion symptoms sidelined Alex Hornibrook. Nose tackle Olive Sagapolu was dealing with lingering knee issues, decreasing his productivity and frequency of play. Reggie Pearson and Eric Burrell started at safety with D’Cota Dixon and Scott Nelson both out. Once a roster was finalized, the Wisconsin team of late October looked wildly different than the team which began the year. But with mainstays Jonathan Taylor and the nation’s best offensive line, there always felt like a chance the Badgers could succeed without issue. 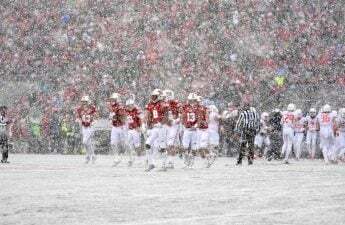 But Taylor’s ball security issues reared their head at the worst possible moment, untimely penalties gave Northwestern unearned new life, Northwestern ball carriers had a stellar day and the Wisconsin offense simply could not convert on third down. Anyone with basic reasoning skills understands this recipe does not result in a Wisconsin win. Any first career game, particularly that of a quarterback, is bound to come with jitters. This wasn’t going to be a game Coan could win on his own, and a litany of ball carriers knew that. Jonathan Taylor, Garrett Groshek, Alec Ingold and Taiwan Deal seemingly split carries on the afternoon. Taylor would get a sizable chunk of targets, but the production was spread evenly. That diversity in ball carrier appeared to demonstrate Wisconsin’s depth at running back, but time would suggest it just wasn’t Jonathan Taylor’s day. The only team to hold Taylor under 100 yards rushing last season was also the team to derail his Hesiman season. On Wisconsin’s second drive, which followed a second career interception from senior safety Evan Bondoc, it was Ingold who would play the hero, hauling in a shovel pass from Coan and picking up nine yards and a first down. Two plays later, the fullback would cross the goal line for a 7-0 Badger lead. Northwestern would counter, however, with an eerily Badger-esque 15-play, 75-yard touchdown drive to knot things up. This was by no means a weak Wisconsin defensive effort, the longest play of the drive was 12 yards. 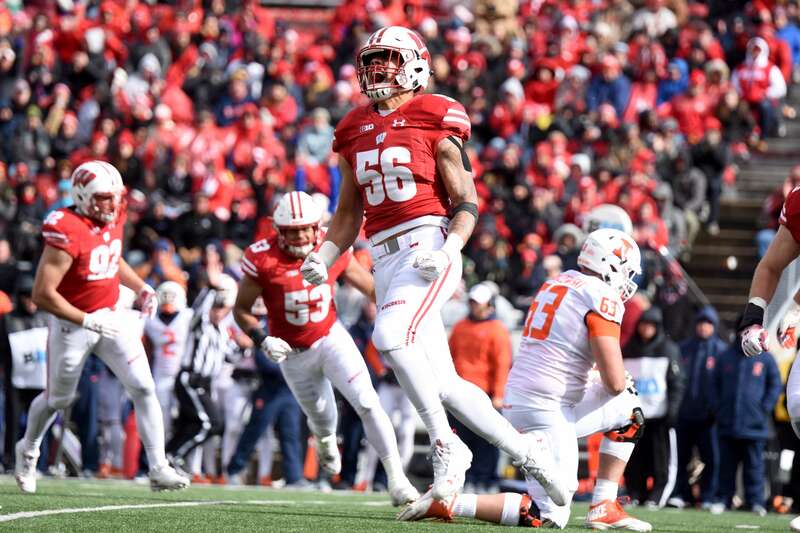 Relinquishing big chunks of yardage had been an achilles heel for the Badger defense, so their ability to keep the Northwestern offense quiet was a bright spot. Their inability to quell the consistent pickups, however, was an irritant. The teams would exchange punts for a few drives until Northwestern was knocking on the door once again. After a hefty 32-yard pickup (forget what I said about keeping big plays to a minimum), Northwestern was within the red zone looking to claim their first lead of the afternoon. On a fourth and goal from the one, the clutch defense made its crucial appearance, stuffing Wildcat quarterback Clayton Thorson. 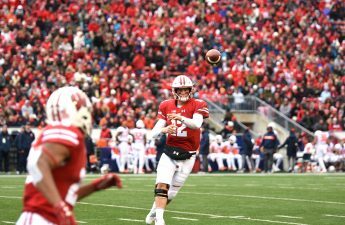 Wisconsin would have a chance to eat up some clock on a well-earned drive, but a botched handoff between Coan and Taylor resulted in a fumble, and suddenly the tides had turned. An erratic Faion Hicks pass interference in the end zone gave Northwestern a fresh set of downs just a few yards outside the end zone. The Wildcats would capitalize, scoring on an absurd 5-yard Thorson run. The Badgers were now forced to play from behind. After a late Gaglianone field goal, one which set a school record, Wisconsin slunk into the locker room down 14-10. Northwestern continued to plant their foot firmly on the gas out of the half, attempting another fourth-down conversion at midfield. In true elite fashion, the Wisconsin defensive line slipped through blocks until they reached Thorson whose pass sailed incomplete. Wisconsin would hardly shake things up, punting again immediately following the turnover on downs. Northwestern would tap back into their best Wisconsin impression, compiling a 10-play, 70-yard touchdown drive to extend their lead to 11. But the drive very well could have ended earlier, Northwestern was set to punt but a roughing the kicker penalty extended the drive and, eventually, the Wildcat lead. But 11 points is a surmountable deficit, right? There was still hope as Wisconsin began their next drive, but it was then that Taylor’s fatal flaw reappeared. 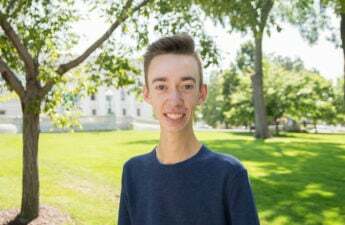 He cradled the ball securely as he had done so many times, but the ball was punched loose and the Wildcat offense who would dominate time of possession in the third quarter were back in the driver’s seat. They’d convert a field goal, and what began as feeling like an underdog victory soon felt as though Wisconsin was simply outmatched. Crucial moments to flip the script were routinely squandered. After a late Northwestern punt, a holding penalty would push Wisconsin even further back. On a routine handoff, the ball suddenly became a bar of soap and Coan lost control of it, initially recovering and trying for some extra yardage only to be stripped immediately. That meant the Wildcats would control the ball within the red zone again. Turnovers are biting, turnovers within your own territory are futile. Northwestern, in character with this game, would capitalize, taking a 21-point lead. Coan would eventually notch his first career touchdown on a drive set up by a Zack Baun interception, finding Kendric Pryor across the middle. The score would, unfortunately, be for naught, as the cliche “too little too late” was all too appropriate. In a Murphy’s Law 31-17 loss, Wisconsin falls to 5-3 and their chances of winning the Big Ten West are now in question.